Beyond The Law: Retribution is the latest book by author and fellow blogger, Tom Benson, whose own blog features high in my list of ‘follows.’ Beyond the Law: Retribution is the sequel to Tom’s most successful book to date, Beyond the Law. Longtime folllowers of my blog might well remember my posting of a review of Beyond The Law back in early 2014; since this latest book is a sequel to that and for the benefit of those who may be unaware of it I am repeating that review to compliment my review of its sequel. In 2004, Martin Cameron is sprung from custody on the streets of Glasgow. The ruthless gangster vanishes, but not before leaving instructions for trusted henchmen. A period of mayhem ensues which includes the murder of two outlaw bikers. The story kicks off with the audacious escape from prison custody of Martin Cameron, who within minutes of his escape embarks on his vicious return to crime and violence; determined to re-establish and expand his control of all of Scotland’s major criminal activities, there follows a bloody trail of violence and dead bodies along the way; he also plans his painful and sadistic revenge on the man responsible for his imprisonment, Phil McKenzie. What he isn’t aware of though is just how eager someone else is for equally sadistic vengeance against himor indeed just how better organised and equipped Phil McKenzie and his organisation are now. In the interim, Martin Cameron’s plans to organise a massive drug shipment into Scotland once again bring him to the attention of one of the Hawk’s former cohorts despite being on the other side of the world at the time. A ‘can’t put down’ book that definitely hits the ground running. In an explosive opening chapter reminiscent of Andy McNab, we’re introduced to the central character, Phil McKenzie, and some of the background to his special skills and training. What follows is an equally explosive story of unofficial state-sanctioned vigilantism as he and his cohorts set about tackling the tough and violent criminal under-belly of a crime ridden Glasgow. But this is no simple story of good guys hunting down the bad; set against the murky backdrop of the military and British intelligence, Phil McKenzie and a select team of operatives are up against a criminal alliance that spans not only that of organised crime but also high ranking politicians and police officers. The book takes a number of different and dangerous turns, culminating in one hell of a conclusion. In 1969 at the age of 17, Tom left his native Glasgow to join the British Army. Tom’s military career spanned from 1969 to 1992. He followed this with a career in Retail Management, in which he was employed from 1992 to 2012. Tom has been writing since 2007. He has published six novels, two anthologies of short stories, and a series of five anthologies of genre-based poetry. He is presently working on two novels, and further anthologies of short stories. Tom is also a self-taught artist. Not What You Thought? and other surprises – The first of the IASD anthologies. Three guest stories by Tom Benson featured in P.A. Ruddock’s humerous collection of short stories and flash fiction in aid on the ‘Forget-Me-Not’ charity at www.exmodltd.org in aid of homeless ex servicemen and those affected by PTSD. 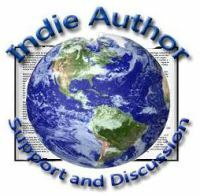 You’re Not Alone: An Indie Author Anthology – The brainchild of author, book reviewer and blooger, Ian D Moore – an IASD anthology bringing together a multitude of international Indie Authors in aid of the Pamela Winton tribute fund, which is in aid of Macmillan Cancer Support. cancer care and support charity Macmillan Nurses. Holes: An Indie Author Anthology – The third and latest IASD short story anthology, inspired by the author, reviewer and talented book cover designer Eric Lhati, again bringing together an international collection of Indie authors to showcase and promote just a fraction of the amazing talents on offer from the world of Indie publishing.